is bringing its open-source enterprise content management and business process management services platform to the Amazon Web Services Inc. Elastic Container Service for Kubernetes or EKS and adding support for Amazon Glacier archival storage in a new release announced today. The company’s Digital Business Platform can be used to create automated workflows involving multiple documents and users for tasks such as case management, project collaboration, web content publishing and compliance records management. Alfresco said its platform can be used to reduce the time to create complex workflow applications from weeks to minutes. Support for Amazon EKS makes it easier for customers to deploy, scale and manage large Alfresco production implementations by encapsulating them in containers, which are portable virtual machines that combine all the services needed to run an application. Use of the Kubernetes orchestration manager also makes upgrades and patches faster and simpler to apply. Support for Glacier long-term storage is intended to reduce costs for customers, who often must retain large amounts of data for legal or compliance purposes. Glacier enables data to be shifted between storage platforms based on rules, such as archiving records after a certain period of time. One customer that modeled the savings found that the cost of 300-terabyte database fell from $180,000 when archived on-premises to $31,000 when saved to Glacier, Wiborg said. 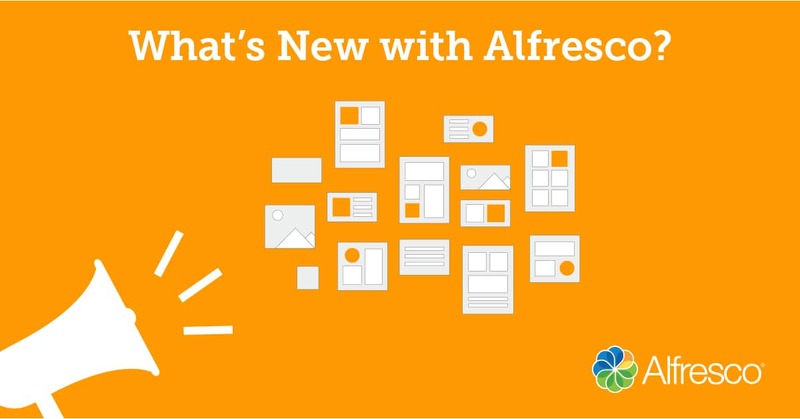 The newly announced Alfresco Digital Workspace is intended to make the user experience simpler by encapsulating commonly used functions. It can also be extended with elements from a library of pre-built modular user interface components and application program interfaces. That enables customers and partners to more quickly create custom applications, the company said. The software is available in three pricing tiers based upon the number of users, but the company didn’t provide details.